Versions: Recorded with Access 2013. Most of the material should work with 2007 and 2010 but I'm not absolutely positive. These lessons definitely will not all work with Access 2003. Pre-Requisites: Access Expert Level 23 strongly recommended. This class builds on the import/export topics covered in the last couple of classes. 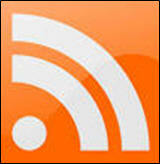 We will pull in the Latest News feed from MSNBC.com and the Tech News feed from CNN.com. Once you have it imported into your database, you can do whatever you like with it. These lessons will show you how to import it. Next, we will learn how to display current weather conditions using the same technique. There are a couple of free weather feeds out there, including Weather.com, but if you want the best (free) source of weather data, you need to use Weather Underground. I'll show you how to register for a free API key (so you can use their site) and pull down all of the weather data you can imagine. We'll make a button that you can click once to update the data, and you'll learn how to use a form event timer to have the data automatically refresh itself every couple of minutes. We'll also use the WebBrowser control in an Access form so we can display a picture from their web site (the little logo for the current weather conditions). Finally, we'll cover one of the most requested topics that people email me about: how to share your Access data with people over the Internet. Everyone wants to know how to take your Access database, upload the tables to the Web somehow, and then share the database with others in different locations. 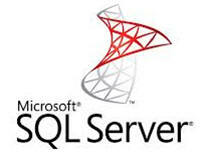 I will show you how to set up an SQL Server database on a web server. I will use GoDaddy for this. They are my ISP and I've been with them for about 5 years right now (it's currently July 2014). As of the time of this class, you can get web hosting with unlimited SQL Server databases for about $5 per month, so it's an easy, inexpensive solution if you want to share data. I will show you how to configure the SQL Server database on GoDaddy's site (most other ISPs that I've worked with are very similar). We will then connect to the database from our Access application, upload our tables, delete the local tables, and then link to the tables on the SQL Server. Once that's done, you can then share your Access front-end file with anyone you want (and trust) and they can use your data. You can both share information no matter where you are. It's a quick-and-dirty way to allow remote access to your data via an Access database. 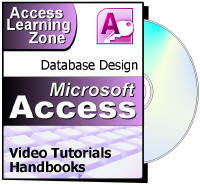 This is the 24th class in the Access Expert series. There are a lot of highly-requested topics in this class: importing live data from the web, using the WebBrowser control, launching timer events, and sharing your Access data over the Internet. Of course, if you have any questions about whether or not this class is for you, please contact me.